Superficial soft-tissue sarcomas are malignant mesenchymal tumors located within the cutaneous and/or subcutaneous layers. Most superficial soft-tissue sarcomas are low-grade tumors; yet, the risk of local recurrence is high, and initial wide surgery is the main prognostic factor. Some of these superficial sarcomas may grow, following an infiltrative pattern, and their real extent may be underestimated clinically. Imaging techniques are useful to determine precisely the real margins of the tumor, especially in cases of clinically doubtful or recurrent or large superficial lesions. Imaging tools enable one to determine the relationship with the superficial fascia separating the subcutaneous layer from the underlying muscle. In our institution ultrasonographic examination is followed by magnetic resonance (MR) imaging when the size of the lesion exceeds 3–5 cm. Imaging assessment is performed prior to biopsy, enabling optimal surgical management. 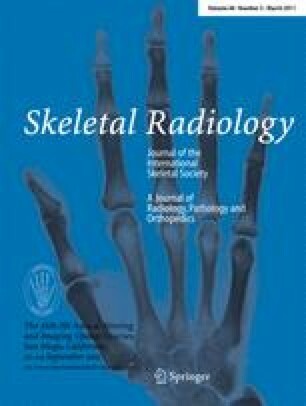 Imaging features of the main superficial sarcomas are detailed in the following article, according to their major locations: those arising in the epidermis and/or dermis, which are most often diagnosed by dermatologists, and the subcutaneous sarcomas.